Brazilian born, he graduated from the University of Rio de Janeiro, completed a Master degree at London’s Guildhall School of Music and Drama and went on for postgraduate studies at the Welsh International Academy of Voice. Prize-winner of several competitions, he was a finalist in both the BBC Cardiff Singer of the World and the Francisco Viñas Competition. His debut was as Tamino Die Zauberflöte at the Amazonas Opera Festival and he has gone on to appear in theatres throughout Europe, South America and Australia. Most recently he appeared as Guglielmo Le convenienze ed inconvenienze teatrale at LeGrand Théâtre de Genève and among future plans is a tour of the UK as Leicester Elisabetta Regina d’Inghilterra. De son côté le ténor Brésilien Luciano Botelho (Guglielmo) campe un divo parfaitement caricaturé, et son air « Non è di morte il fulmine » tiré de Alfredo ilGrande fait montre d’une autorité et d’une santé vocale impressionnante. Seul ténor du lot, Luciano Botelho (Guglielmo) profite de son rôle de vedette pour lancer des aigus excessivement héroïques. Luciano Botelho prend le relais d'Enea Scala pour camper avec brio un prétentieux ténor germanique. On salue Luciano Botelho dans son numéro de «primo tenore» au timbre nasal et claironnant. les autres rôles sont très bien distribués, à commencer par le ténor brésilien Luciano Botelho (Gugliemo, Primo tenore) qui enchante dans sa savoureuse caricature de ténor allemand colérique qui n’arrive pas à aligner deux mots en italien. The promising Italian tenor Luciano Botelho is a definite asset as Narciso. But, to bump into Botelho was a discovery: a valuable dramatic interpreter, and a name to graduate as an expert in the future of Rossinian productions. In the high demanding arena, he has all requirements that allow him to approach a tenor role using the most variable and distinct registers. The voice is sweet, powerful, beautiful, clear, and very soft with the purpose of reaching top notes that require a notorious and great precision. The other overseas visitor in the cast is the Brazilian Luciano Botelho as Geronio’s duplicitous ‘friend’ Narciso. He throws himself into Phillips’s comic milleu with great abandon and, if the voice is not a large one, he makes up for it with grace and agility. Given that the role is eminently surplus to plot requirements, it’s a credit to him that he brings the house down with his second act aria in which, confined to a bathing hut, he drops his pants, deodorises and changes into an Elvis suit. An exciting production of this taut bel canto drama… It is in its four central performances that ETO’s touring production scores most highly. (...) Luciano Botelho’s soft-grained tenor helps him create a credibly three-dimensional portrait of the conflicted Ghino. Luciano Botelho ran the full, wide-ranging gamut of the volatile Ghino, throwing out thrusting top notes and displaying an exciting darkness in his lower registers. Tenor Luciano Botelho demonstrates strength and a fine tone as Ghino. His bright ring and vocal stamina, allied with an ability to really sing through a line, even at the top and at the quietest dynamic, makes his evil swagger disconcertingly enchanting; at times it seems as if he believes his own lies - like Iago his villainy is greater because he has prodigious charm. Botelho rose to the demands of his Act 1 opener,‘Mi volesti sventurato’, his highlying phrases pulsing with the energy of grievance; yet, in his duets with Nello and, in Act 2, Pia he revealed a softer tone, suggesting genuine sentiment. Even Ghino’s death scene was convincingly sincere; for once, too, there were no protracted ‘resurrections’ and his demise was all the more affecting for its swiftness. This was an admirable vocal portrayal of an intensely drawn reprobate, who was certainly no cardboard villain. Luciano Botelho is going from strength to strength and never have I seen him like this: in his sizzling best! Briton Paul Nilon singing the lead role together with Luciano Botelho, Ida Falk Winland and Ingela Brimberg portrayed what Mozart really wanted to get. 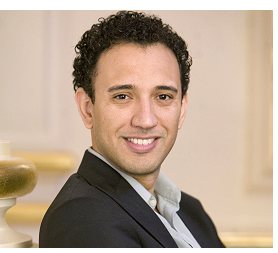 ...and Luciano Botelho as Idamante are outstanding interpreters of Mozart's charged rebellion against his father. The soloists are world class, (…)Idamante is interpreted by the lyric tenor Luciano Botelho in a very sensitive way. The son Idamante, originally sung by a castrato and generally sung by a mezzo, is presented here by the very fine sounding lyric tenor Luciano Botelho. Luciano Botelho's Idamante has precisely the right twinkling idealism in its tenor. Luciano Botelho, as Duke, who regularly gets to display his torso and his undies, has a lyrical, not a heavyweight, voice that’s impressive. Luciano Botelho, Brazilian tenor singing the role of the Duke of Mantua shows since the beginning real vocal qualities and imposes a handsome character.